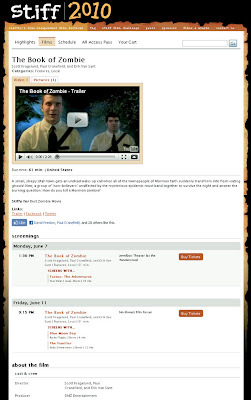 Join us on Friday, June 11 at 9:15 PM for the World Premiere of The Book of Zombie at STIFF - Seattle's True Independent Film Festival! 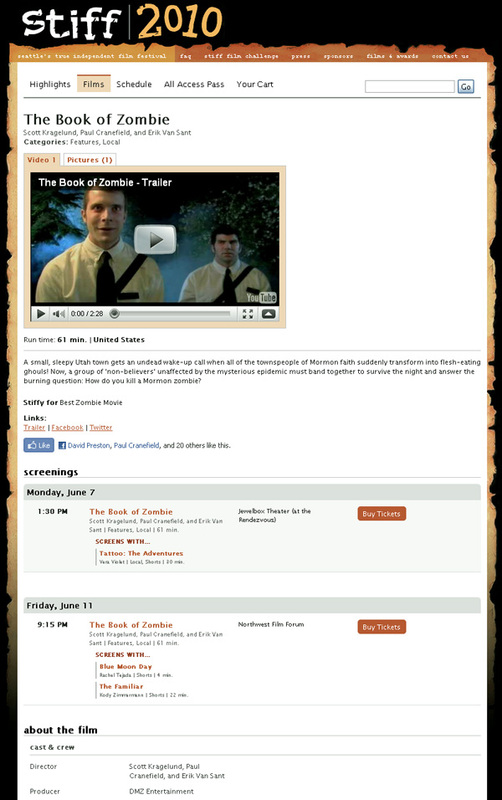 Come to see the film and meet the stars and makers of a soon-to-be cult zombie film. You can also buy tickets for the early screening on Monday afternoon here too. We're on Twitter and Facebook. 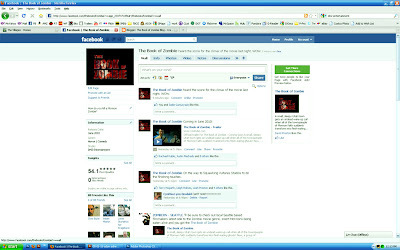 The Book of Zombie is now on Facebook. Become a fan and be sure to get regular updates on the status of the movie. The premiere is coming this June and will will be announced here as soon as the dates and locations are confirmed. A small, sleepy Utah town gets an undead wake-up call when all of the townspeople of Mormon faith suddenly transform into flesh-eating ghouls! Now, a group of "non-believers" unaffected by the mysterious epidemic must band together to survive the night and answer the burning question: How do you kill a Mormon zombie? 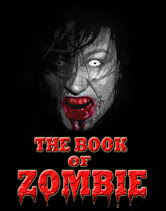 I'm the Director of Photography and Editor for The Book of Zombie. I started this blog so fans of zombie and horror movies can watch us make the next great cult classic. Bookmark this page and check back often for videos, pictures and my take on the whole zombie experience.